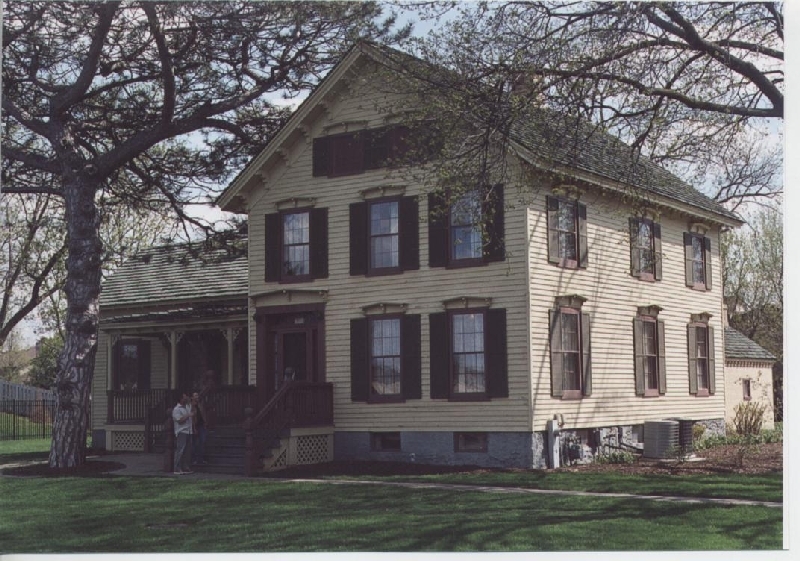 Join the Hoffman Estates Historical Sites Commission as they conduct tours of the Sunderlage Farmhouse at their annual open house. Cookies and refreshments will be served. In addition, the Schaumburg Township Historical Society is sponsoring the Sharon Kimble Ice Cream Social. Come see how ice cream was made before we had Baskin Robbins or Dairy Queen. If you enjoy socializing, learning about history and eating ice cream then stop by. This is free but, as always, a donation will be accepted for the ice cream or our Raise the Flag Fund. Take this opportunity to view this historical farmhouse and its National Register smokehouse, and eat some delicious ice cream! When: Sunday, July 22, 2018 from 1-4 p.m. This entry was posted on July 14, 2018 at 7:00 am and is filed under Farms. You can follow any responses to this entry through the RSS 2.0 feed. You can leave a response, or trackback from your own site. Just one small correction = there is no charge for this event. Come and enjoy tasting homemade ice cream, tour house and smokehouse and watch the children enjoy pony rides and a petting zoo. Historical Sites Commission will also offer cookies and refreshments. It is a nice way to spend a Sunday afternoon. Another correction = the time for this event i to 3 p.m., not 12 to 2 p.m. I know it’s too late but I made the corrections for posterity’s sake! Jane, I think you are doing a Wonderful job, keep it up. Did you know that Marshall Fields sold the Meineke honey candy.